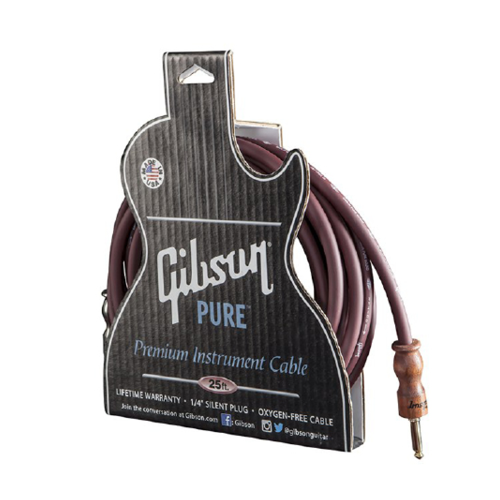 The Gibson Pure 25’ Premium Instrument Cable is made with a stranded oxygen-free copper conductor and military-spec 24-carat gold over nickel 1/4" plugs, with pure copper tips to get your tone from guitar jack to amp or effects jack in pristine condition. Beyond that, we use a densely braided 95%-copper shield with a totally re-invented dielectric insulation, with an additional semi-conductive PVC shield between inner and shielding cables to virtually eliminate noise from static electricity, electro-magnetic fields, and handling, especially effective through high-gain amps. 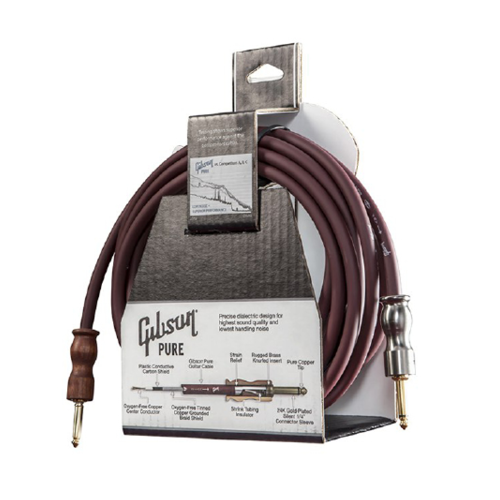 To top it all off, we terminate one end in a newly redesigned silent plug with genuine cherry hardwood barrel that lets you plug and unplug your guitar with no pop or noise from the amp. 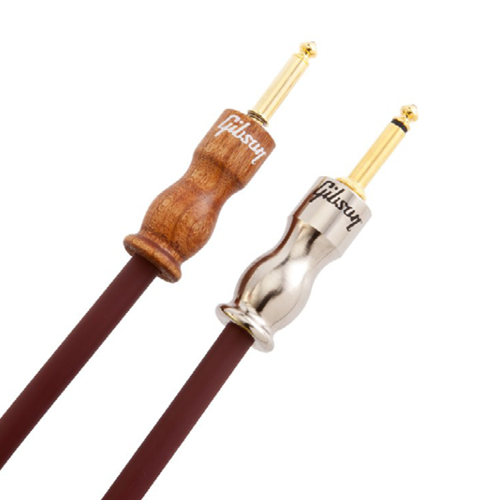 Compared to other high-end cable competitors Gibson Pure Instrument Cables offer significantly lower handling and interference noise, and an extremely low-loss signal transference through a conductor with capacitance optimized to hit the sweet spot for magnetic pickups. 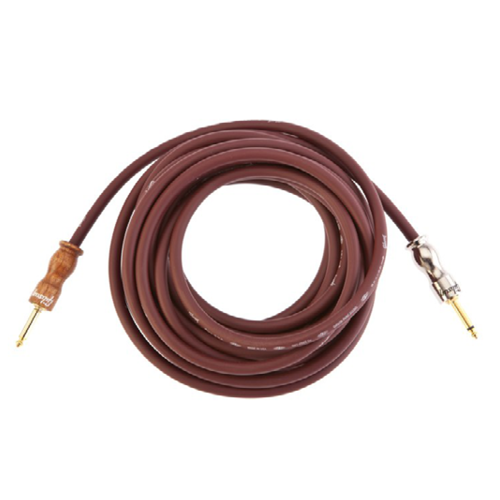 All this, and the 25’ cable comes in a super-cool cherry insulation that’s super supple, easily lying flat and hugging the stage, with a aluminum, nickel covered barrel at the amp end.